Crossings from Palestinian Authority-controlled areas to close for Purim. 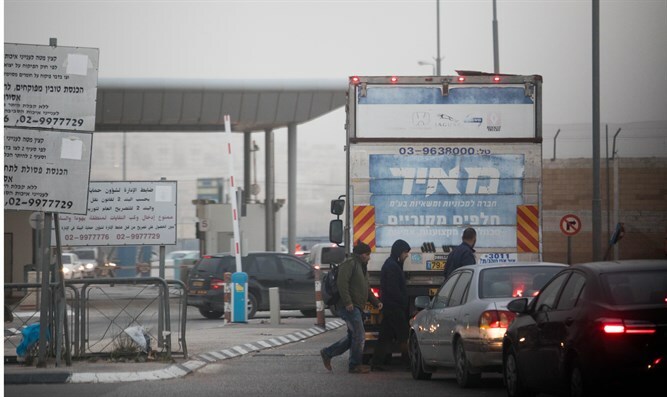 Crossings from Palestinian Authority-controlled areas in Judea, Samaria, as well as Gaza's border crossings, will be closed for the duration of the Purim holiday. The closure will take effect on Wednesday at 12:00a.m. and is expected to continue until 12:00a.m. on Sunday morning. The closure is due to security estimates, and has been approved by the political echelon and by Coordinator of Government Activities in the Territories (COGAT) Major General Kamil Abu Rokon. During the closure, only those with a humanitarian, medical, or exceptional issue will be allowed into pre-1967 Israel.